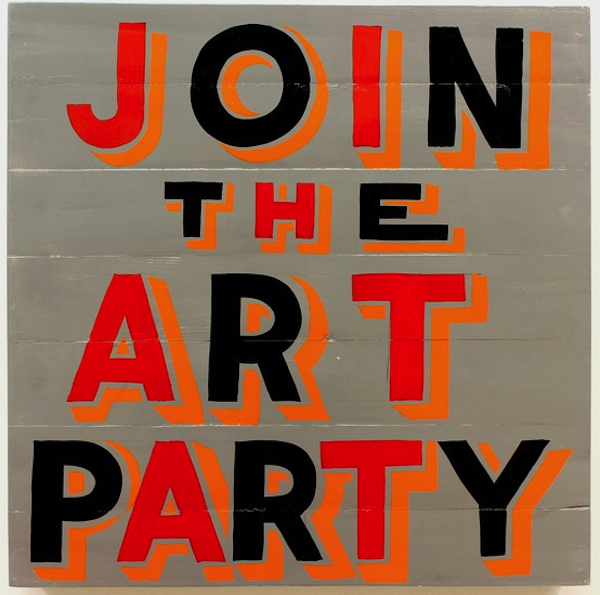 The exhibition includes a party political broadcast made by Bob and Roberta Smith in the Leytonstone Centre of Contemporary Art (a shed in the artist’s, or should that be artists’, garden) along with many of the slogan paintings that feature in the broadcast, a couple of signwritten sculptures and quite a lot of bunting. 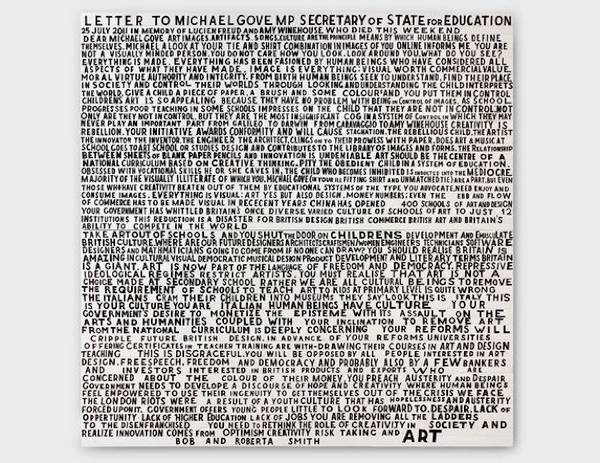 The letter to Michael Gove gets the signature Smith (and Smith) signwriting treatment to become a large scale painting as does Picasso’s speech to the 1950 Sheffield Peace Conference. 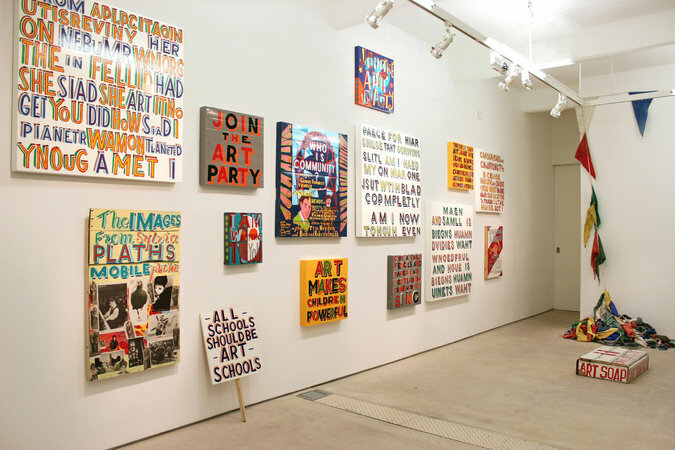 I’ve yet to see an exhibition by Bob and Roberta Smith that I didn’t enjoy but what’s particularly engaging here is the mix of politics and humour. Perhaps inevitably I am carried along by Smith’s infectious enthusiasm and his evident commitment to the serious point he is making about the importance of art as a core part of the school curriculum. As the painting says, “all schools should be art schools”. Though the painting’s not in the gallery, I’m pleased to spot Smith’s support for art foundation courses in the Art Party broadcast. I also like foundation courses in art and design. And not just because I teach on one. This entry was posted in Film/Video, Painting, Performance, Politics, Sculpture, Text and tagged art, art education, Art Party, art school, Art Soapbox, Bob and Roberta Smith, Foundation Course, LCCA, Leytonstone Centre of Contemporary Art, Michael Gove, painting, party political broadcast, Patrick Brill, politics, sign-writing, text, The Art Party of the USA by Ann Jones. Bookmark the permalink. Great post, Ann. 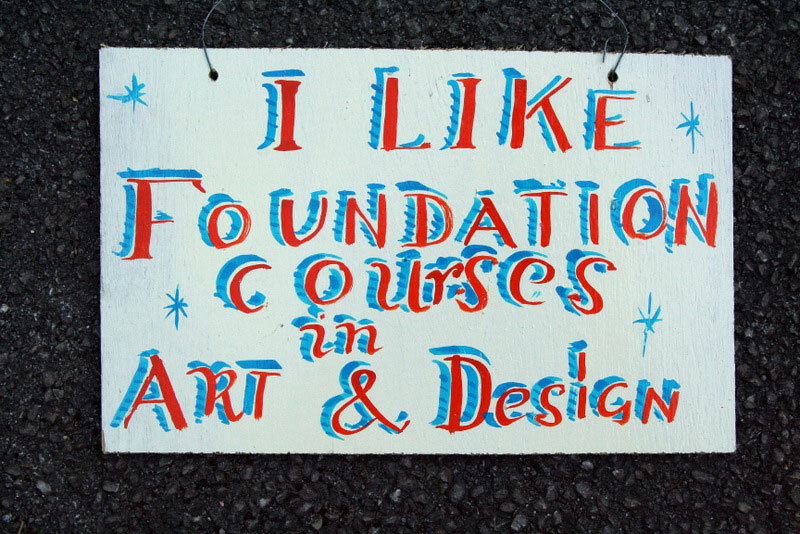 I also like Foundation Courses in Art & Design (my happiest year of education). Foundation was one of my favourites too! 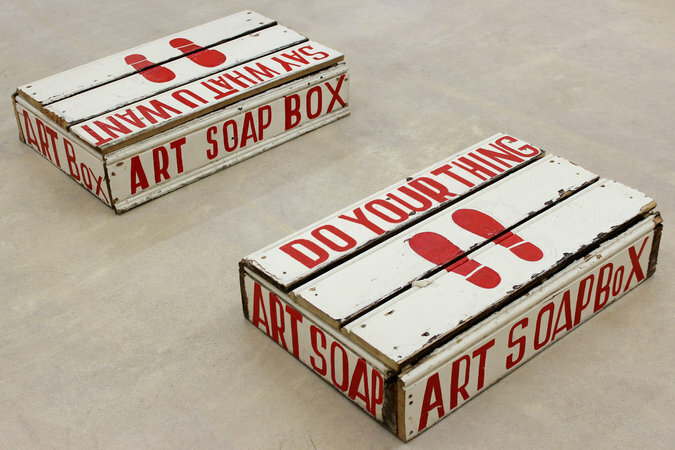 :) Love the soapboxes.